A necklace is among every woman's favourite ornaments. A gold necklace alone can do wonders to any look, for every day or evening wear. A plain dress can get the touch of glamour by a stylish gold necklace. Necklaces, big or small are an essential when a woman gets ready. Special occasions call for different designs and that's where CaratLane comes to the rescue. 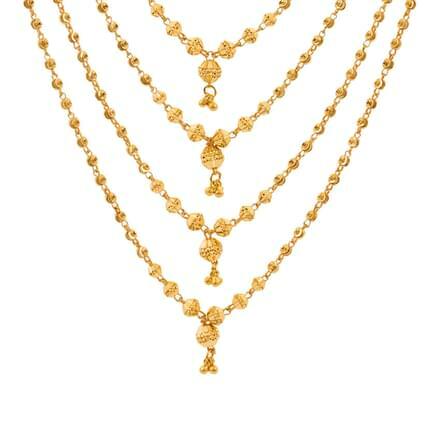 CaratLane showcases a vast collection of outstanding gold mala designs, which you can buy online. A gold mala is not an ornament for married women alone, young women like to try new styles and flaunt their jewels with panache. CaratLane offers around 30 unique designs of a gold mala crafted in 18K and 22K yellow gold. The pricing of gold mala styles range between Rs. 40,000 to Rs. 2,50,000. From solid gold, to beaded necklace styles and solitaire necklaces, you can buy your favourite designs from this extensively selected online range by CaratLane. The glimmer of a solitaire necklace never really dies down and every woman dreams to own one for sure. CaratLane's stunning Graduating Quarter Solitaire Necklace and the Graduating Illusion Solitaire Necklace, both set in 18K white gold with diamonds are mesmerising designs of a gold mala. Beaded necklaces are a perfect example of a long gold mala design which can be worn in both everyday wear and for special occasions. The Rica Beaded Necklace or the Elongated Bead Necklace, both set in 22K yellow gold by CaratLane are beautiful and well-crafted gold malas for women. 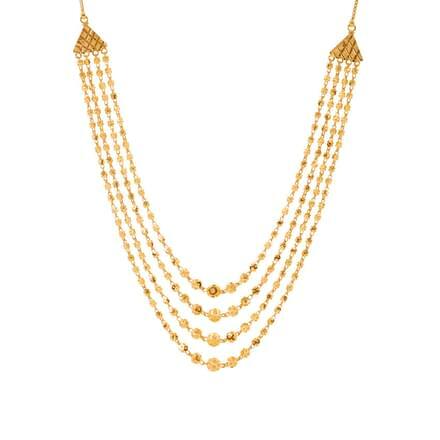 The Chokapora collection of gold mala by CaratLane offers interesting designs with great craftsmanship. 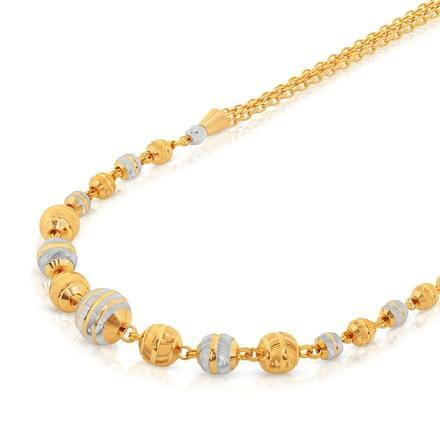 It's Tri Line Beads Gold Necklace and the Five-Line Nakshi Beads Necklace are set in 22K yellow gold, with a distinct royal look. These styles can make for great bridal jewellery. The Beaded Conch Gold Necklace is another strikingly beautiful ethnic design of a gold mala. 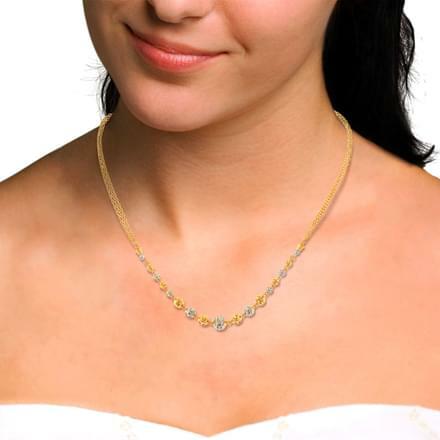 A layered necklace can give a majestic look to any traditional attire, and work well with a bridal dress as well. From dainty to chunky designs, the range by CaratLane consists of a unique gold mala design for everyone. Check out the sleek Kylie Layered Necklace, set in 18K yellow gold with diamonds, or the bold Elva 4 Layered Necklace and Grandeur Layered Necklace, set in 22K yellow gold. Check out chic modern gold mala designs from CaratLane's Gold Struck collection. The Rosie Stamped Necklace, set in 18K yellow gold and the Scarlett Stamped Necklace, set in 18K rose gold are pretty necklaces that can be paired with both western as well as traditional attire. CaratLane's Granular Enamel Gold Necklace from the Ikat collection, set in 22K yellow gold is a purely ethnic gold mala design. The Peacock Pinion Necklace from the Peacock collection, set in 18K yellow gold with diamonds is another fine gold necklace with attributes of great craftsmanship and design. 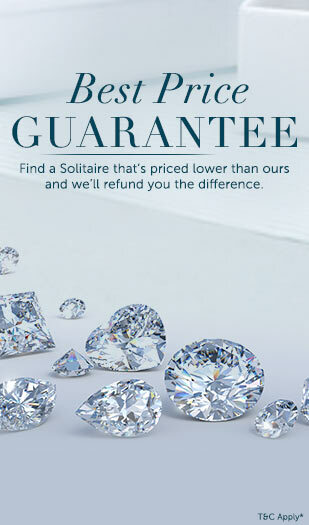 CaratLane's efforts are growing each day to cater to the jewellery shopping needs of its customers. It is working towards providing hassle-free online shopping along with great quality and the best of prices. Online payments can be made through debit or credit cards, net banking and online funds transfers, along with EMI options. Customers can avail the 30-day free return policy or the lifetime exchange policy as well.